Hannah grew up in the heart of the Mid-Atlantic on Maryland’s Eastern Shore. After graduating college from the University of Delaware, Hannah worked in admissions; recruiting students at Washington College, a small liberal arts college in Maryland. 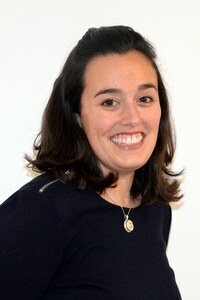 In 2013 she became the Southern Regional Representative for the college and relocated to beautiful Savannah, Georgia. As the Washington College Southern Regional Representative, her job was to travel a nine state territory and recruit students. In this position, she was able to take enrollment from 6 students in region to 26 in this year’s incoming class. She was the main customer service contact for these students, their families, and counselors. She built trusting relationships with the students so they were confident with their final college decision. After a few years of soaking in the southern charm, it’s time for Hannah to return to her roots in Easton,MD. Hannah has always had a passion for design. Her mother is a talented interior designer at one of our favorite stores, Bountiful, in Easton, MD ;which carries many of our Product Partners including Barbara Cosgove Lamps, Annie Selke, and Regina Andrew Design. Her father is a successful salesman and entrepreneur, so Hannah grew up with plenty of exposure to both the Home Furnishings Industry and sales strategy. Hannah is a road warrior and, she is thrilled to be using her road experience to manage and build a territory while tapping into her creative side at CODARUS.